The Sokha Hotels & Resorts also known as Sokha Hotel Group is a Phnom Penh-based hotel and resort company, the hospitality division under the Sokimex Investment Group. The company was founded in 2004 by Neak Oknha Sok Kong. 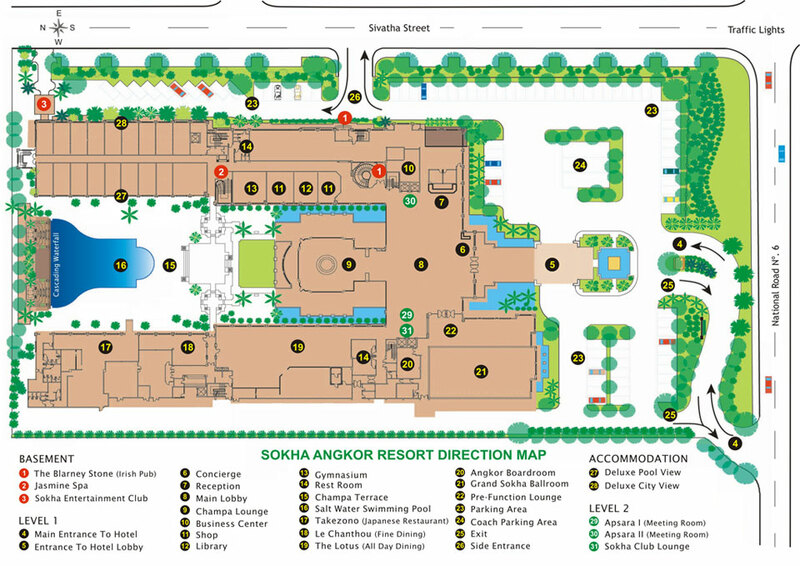 Today, Sokha Hotels & Resort has five (06) hotel properties located in four (04) main cities and provinces in Cambodia. SOKHA as a brand was found in 1997 by its Chairman, Neak Okhna SOK Kong. Today, Sokha Hotels & Resorts has six (06) hotel properties located in fours (04) main cities and provinces and is the largest luxury hospitality chain in Cambodia under the management of the parent company, Sokimex Investment Group. Sokha Beach Resort (including Moha Mohori and Lakeside) was the first property of the Sokha Hotels & Resorts and was a flagship 5-star hotel opened in 2004 at the beachfront of beautiful Sokha Beach, Preah SihanoukVille. Sokha Beach Resort has started with 180 rooms and suites, and then extended to 210 in 2009 and to 391 room and suites in 2010 including 69 exclusive water chalets. In 2005, Sokha Hotels & Resorts add another feather on its cap with Sokha Angkor Resort located in the heart of Siem Reap, boosting with 275 room and suites with a unique salty water swimming pool. The 4-star property, Thansur Bokor Highland Resort, opened in 2012 with 564 rooms and suites situated amid the famous Bokor National Park. It is the one and only highland resort in the Mekong sub-region with distinctive mountain beauty and year-round cool weather. The latest 5-star Sokha Phnom Penh Hotel & Residence located on Chroy Changvar peninsula. The hotel is situated opposite to the Royal Palace and approximately 13 km from Phnom Penh International Airport boasts 549 guestroom and 195 high-rise condominiums with the contrast view of extensive greenery Mekong River and stunning city’s skyscrapers. As a Cambodia Hospitality Operator, SOKHA is well known of its 5-star Cambodia service – a Cambodia proud. Our success is driven by our people and their commitment to reach the mission of providing guests the most memorable experience and unforgettable smile of Cambodian.